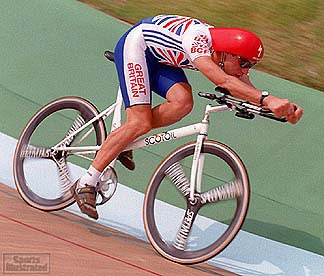 Today I listened to a great interview with one of the unsung heroes of our sport, Graeme Obree of Scotland. Over the years this man went from the relative anonymity of the Scottish Time Trial scene to reach the very top of the sport before descending to a well publicised battle with depression. Throughout his career he was a maverick figure, often portrayed as an eccentric inventor of crazy bikes who took on the powers that be, and lost. However, the interview I heard today exposes an ordinary guy with an extraordinary take on the world. In a revealing kitchen table conversation with the Scottish cyclists behind the Velo Club Don Logan podcast, Obree candidly explains the drive behind his success, how he invented his famous "washing machine" bike, his views on the UCI and some very revealing insights into the doping scene. 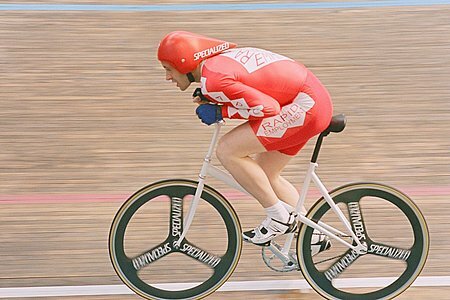 What struck me most was Obree's explanation of the psychology behind his many championships and records. Obree claims he never competed against any other rider. Instead he only ever competed against himself. Maybe unsurprisingly, given his later personal struggles, the biggest motivation for him was his fear of failure. In fact, he says he felt guilty that he had to beat riders who had worked as hard as him to get to the top, but that he "needed" it more. His description of how he forced himself through the pain of the hour records is fascinating. He is also very magnanimous about the UCI officials who seemingly arbitrarily changed the rules almost overnight in an apparent bid to thwart his World Championship ambitions. Rather than throw his toys out of the pram and take to the courts, as might be expected these days, Obree simply adapted to the new rules, invented another world beating position and went on to take the Rainbow jersey the following year. If you haven't read his book, "The Flying Scotsman", or seen the movie of the same name, do so as soon as possible. In the meantime have a listen to this great podcast. Listen Here or you can subscribe to the Velo Club Don Logan podcast via iTunes.